1.The colorful flowers attract my attention first. The lavender plants in my garden tease me with their showy purple spikes that bloom in early summer. We mostly visualize the colors of blue and purple when we think of lavender, although some varieties do have white flowers and other are pink. 2.While lavender’s appearance is a visual treat, its rich history intrigues my intellect. Cleopatra, anointing her body with lavender oil, seduced Julius Caesar and Mark Anthony. In the very early literature on herbal healing, lavender shows up as a sedative, a treatment for migraines and as an antiseptic for cleaning wounds. Lavender appears in monastery gardens, in the castles of queens and kings and in sick rooms during the bubonic plague. 3.The fragrance of lavender is seductive. Described as clean, fresh and pine-like, the scent is penetrating, long-lasting and unforgettable. After working in my garden, I like to crush lavender leaves in my hands and revel in the flowery perfume. 4. I love the shape of these evergreen plants. The symmetry pleases my eye’s desire for order. In the summer, the flower spikes reach up and out as if they were trying to touch the sky. In a summer breeze, the flowers gracefully sway back and forth like a child’s swing. 5. True lavender honey tastes sweet and slightly floral. Bees dance around my lavender plants, attracted like magnets to its sweet nectar. I love sweetening fresh berries with a tiny amount of lavender honey for an extraordinary treat. 6. 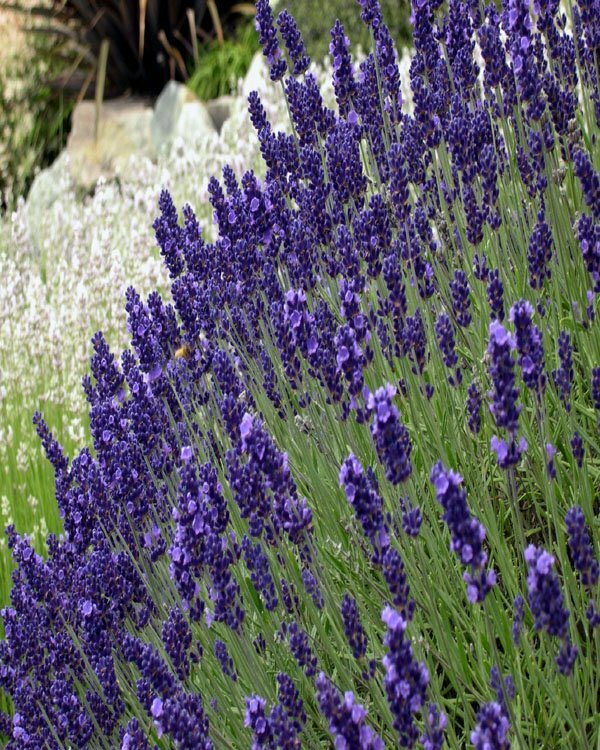 Never needy, lavender only asks for two things: warm sunshine and dry, well-drained soil. 7. Lavender reminds me that our universe is abundant. It thrives in many places around our planet such as in Sequim on the Olympic Peninsula in Washington State and on the island of Hokkaido in the Japanese Alps. Maui’s Ali’i Kula Lavender Farm, with buds in bloom throughout the year, tops my list as the most beautiful place in the world for enjoying fields of lavender. 8. A good partner, lavender enhances chocolate, citrus fruits and berries: Dark chocolate infused with lavender offers an exotic, slightly mysterious tone; a pink grapefruit sprinkled with lavender sugar makes the grapefruit taste tropical; blueberries topped with lavender-infused cream tantalize my taste buds. 9. The fanciful names given to lavender farms amuse and entertain me. Crowsfeet Lavender Farm, Frog Rock Lavender Farm, Rusty Acres, and Sawmill Ballroom Lavender Farm are a few of my favorites. I must also mention Shooting Star Lavender Farm located in Oregon, named for the shooting stars often seen in the northern sky. 10. Popular, attractive and pleasing, lavender is the homecoming queen of herbs. Lavender celebrations begin in May in Texas and continue through June in California and July in Oregon and Washington. In December, New Zealand and Australia host tourists at lavender farms such as The Lavender Patch and Bridestow Lavender Farm. Lavender even has its very own fairy: Cicely Mary Barker created the Lavender Fairy in 1923, capturing the natural charm of this evocative herb. Clairmont Farms, near the town of Los Olivos, was a horse ranch before becoming home to 12,000 lavender plants. Located in the Santa Ynez Valley in Santa Barbara County, these lavender fields flow across five acres. A long, bumpy driveway is lined with gnarled olive trees. These trees were planted more than 175 years ago by Spanish missionaries. On the edge of the field, sturdy oak trees spread their branches. I look over the horizon and see the Santa Ynez mountains profiled against the blue sky. Having just arrived from Seattle, John and I bask in the sun and soak up the color. Meryl Tanza bought this property in 1976, then part of a 30-acre parcel. Meryl grew up in South Africa and loved horses, so she planned to breed thoroughbreds here. To supplement her income, she turned to growing lavender. Several years ago, she planted thousands of Grosso Lavender plants, a hybrid known for its high oil content. “We purchased a small distillery and began to extract essential lavender oil from plant material,” Meryl explains. Meryl and her husband, Glenn Thalheimer, spend long days tending the farm, extracting lavender oil and making scented candles, sachets and body lotion. The farm is open to visitors daily. My husband and I stroll through the fragrant fields, browse in the boutique and capture this landscape with our camera. Lawn chairs line the field’s perimeter, offering places to sit, rest and take in the moment. 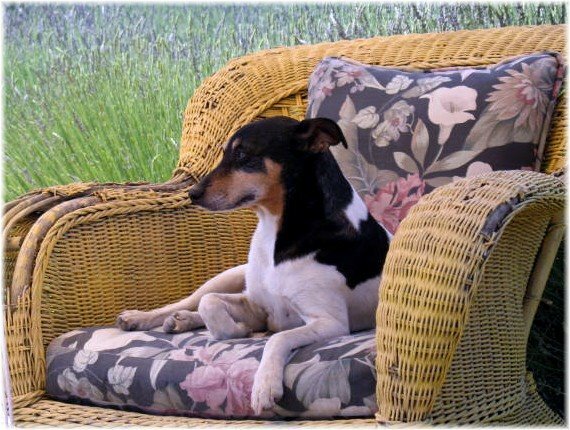 The family dog, a short hair collie, hops into a chair and poses for a photo with a serene expression. I wonder whether it is the lavender that makes him so calm. Clairmont Farms also maintains an online retail store for people who can’t visit the farm in person. With Mother’s day coming up in just a few weeks, you may want to consider a gift of Lavender Shampoo, Culinary Lavender Honey or Lavender Mist. Sick and tired of sticky sugary soda? Looking for a refreshing non-alcoholic drink to enjoy with lunch or dinner? You may want to try DRY soda. Available in six flavors, this soda is simple and elegant. The soda contains only natural ingredients – sugar, water and flavored with fruit, flower or herb extracts. 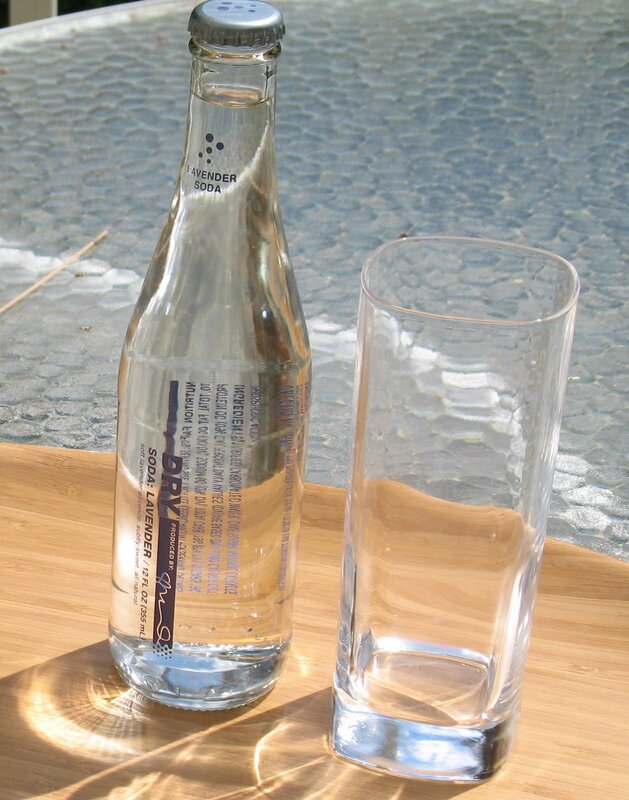 DRY soda comes in sleek bottles with an award-winning design. Flavors include Lavender, Lemongrass, Rhubarb, Kumquat, Vanilla Bean and Juniper Berry. As you could guess, Lavender is my favorite. Fizzy and soothing, the drink sparkles with a hint of the flavor and aroma of lavender. I love the lightness of this drink. Minimal sugar equates to fewer calories. Seventy calories in each 12 ounce bottle compares to double that for 12 ounces of Coca Cola. A Seattle-based company, DRY soda offers a tasting room in Pioneer Square where you can sample their soda. The soda is served in champagne glasses. In fact, many fine restaurants offer DRY soda as an alternative to ice tea, cola or wine. Dahlia Lounge, 35th Street Bistro and Purple Café and Wine Bar are three of the more than 50 restaurants where DRY soda is available in Washington. For those of us who are looking for a non-alcoholic drink or who enjoy fresh flavor, DRY soda has come along at the right time. Other adult soda products on the shelf include Jones Soda (also a northwest company), Izze and GuS (Grown Up Soda). 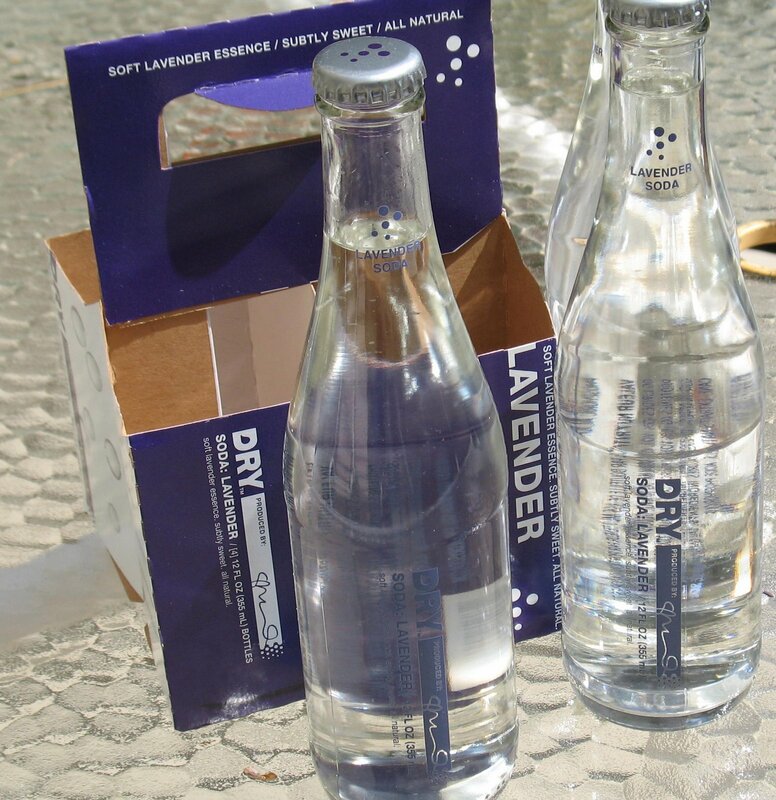 Lots of flavors, but, alas only DRY creates Lavender Soda. At the end of a long day, I treat myself to DRY Lavender soda on the rocks with a small square of dark chocolate. The combination is divine. Where in the world will lavender turn up next? Nature’s beauty challenges our ability to describe in mere words or even in photographs. 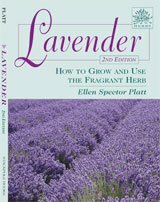 Ellen Spector Platt’s new edition of Lavender – How To Grow And Use The Fragrant Herb (Stackpole Books 2009) meets this challenge and then some. The book, 145 pages, contains photographs of lavender fields, garden paths, wreaths and more. The beauty of lavender dazzles us; however this book invites us to discover more about this plant. Platt’s book describes its history from ancient times when Roman soldiers used the herb to perfume their bath water to now when lavender is celebrated in festivals around the world. Platt provides useful advice about growing lavender. Full sun is a must for this plant. Good drainage and alkaline soil are also preferred. For harvesting , Platt offers tips for cutting, drying and using lavender making it easy to enjoy its beauty even after summer is over. Farms and festivals offer visitors opportunities to “observe essential oil being distilled from the harvest; hear the banjo picker, the country trio, the six-string electric violin, or the Celtic fiddle.” Once again Platt speaks to all our senses and invites us to appreciate lavender for its beauty, fragrance, usefulness and its taste. She provides a list of festivals so you can discover and experience lavender yourself. Cooing with lavender, my favorite part, is now coming into its own in America. In France, lavender has been a favorite in the kitchen for a long time. Platt shares recipes for Poached Apples, Aromatic Chicken and instructions for serving Edible Flowers. I am pleased to have contributed one of my special recipes – Roasted Halibut a la Provence – to this outstanding book. If you are intrigued with Lavender, this book will help you discover its array of attributes. If you are looking for an unforgettable Mother’s Day gift, look no longer. Pick up a copy of Lavender – How To Grow and Use The Fragrant Herb and why not splurge and add a lavender plant! 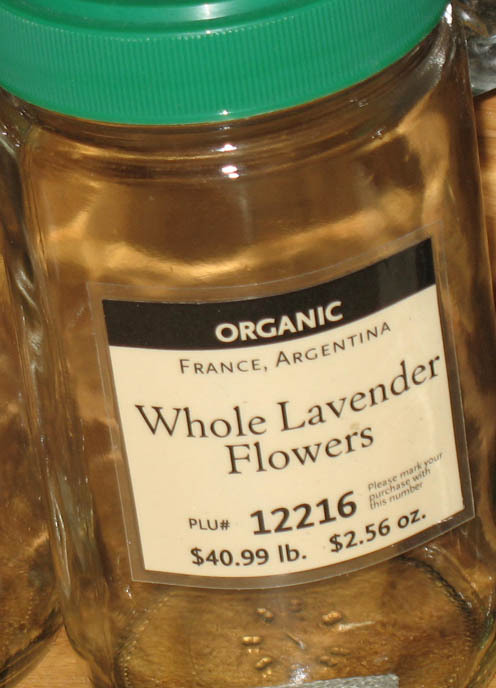 Stopped at Whole Foods around noon today, hoping to buy organic culinary lavender buds. Over the long dark, not to mention, cold winter, I’ve used up my stash. 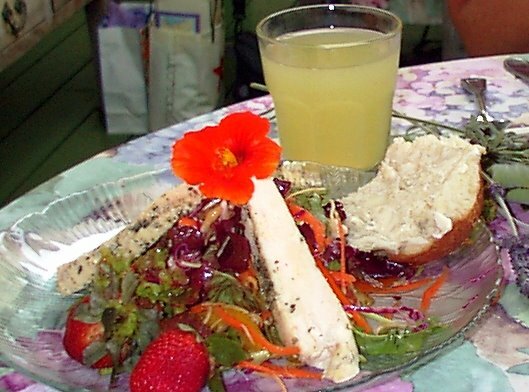 Although in each dish, only a tiny amount of lavender buds are required, I have enjoyed flavoring sugar, vinegar, cookies, cakes and salad dressing and more with the fresh taste of lavender. I made a bee line for the bulk herb section of the market. The jar was empty! With the luxury of time, I would have tracked down a clerk to ask about the situation. Out of time and down-hearted, I gave up for the moment. PCC Natural Market sells organic lavender buds in their bulk section. I wondered if they are out, too. Home now and sitting in front of my computer, I will order my lavender buds on the internet. Google returns 11,500 page on my search terms – culinary lavender buds. Local Harvest offers Royal Velvet Culinary Lavender buds. Royal Velvet, a cultivar of English Lavender, tastes sweet and the fresh flowers are a deep blue. Many lavender growers also have culinary buds for sale. Olympic Lavender Farm, Hood River Lavender Farm and Central Coast Lavender have just what I am looking for. Another option are spice shops such as My Spice Sage, Penzeys Spices or World Spice Merchants. With my supply of lavender buds replenished, I am dreaming of blueberries with lavender infused whipped cream. I decided to try my hand at making apple jelly. Flavored with lavender and a tiny amount of cassis, this jelly was amazing. As a child, I enjoyed jams and jellies made by my dear mother. As an adult, I have forsaken jams and jellies. After tasting home-made products, I can not imagine eating something mass-produced with who-knows-what additives and preservatives. So I have been jelly-deprived for many years. 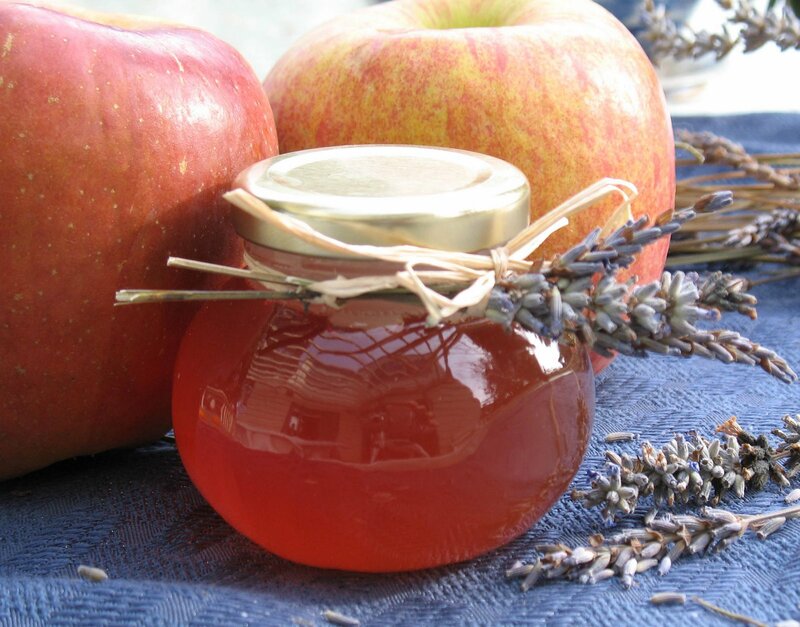 Sugar, aging apples, lavender and cassis come together in this tasty and beautiful jar of jelly! Spread on my morning toast, my apple jelly sent me back to my childhood and the simple pleasure of jelly! Sugar – seasoned with herbs, spice, flowers or citrus – combines sweetness with pungent exotic flavor. Most of us remember cinnamon sugar sprinkled on buttered toast. When my mother made pie, she always set aside pastry scraps for what she called “sample”. After rolling the odds and ends of these scraps, she placed them on a cookie sheet, dabbed butter on top of the pastry and sprinkled each “sample” with cinnamon sugar. As they baked in the oven, the kitchen was infused with an unforgettable aroma. 1. Lavender sugar preserves summer’s bounty so it can be enjoyed all year. Sprinkled on a glistening red grapefruit and broiled until sugar melts, the fragrance seems to bring back sunny gardens. 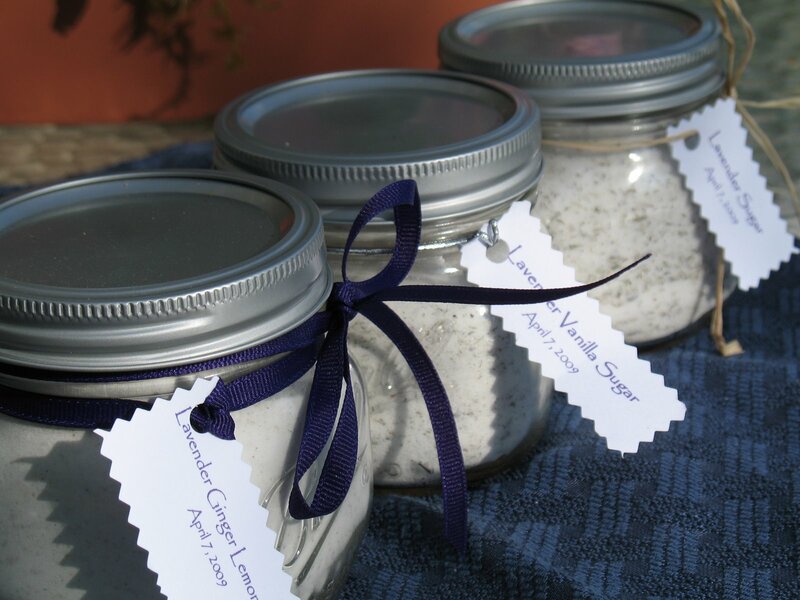 With a jar of lavender sugar in the pantry, you can tap into your creativity. Try substituting lavender sugar for the sugar in your blueberry muffin recipe. 2. Vanilla delivers a warm, mellow flavor. Add a vanilla bean to a jar of lavender sugar and enjoy the flavor contrast. This blend of flavors enhances the sweet taste of berries. 3. Mint sugar adds a cool fresh taste to fruit salads. Sprinkled over fresh pineapple, its bright green color contrasts beautifully with the golden hue of the fruit. 4. Citrus fruit flavored sugars bring a piquant taste to desserts and drinks. To make lemon sugar, combine 2 tablespoons of lemon zest with 1 cup of sugar. For orange, tangerine or lime flavored sugar, replace lemon zest with zest from an orange, tangerine or lime. 5. What could be more elegant than rose flavored sugar? Gather 1 cup of rose petals. Make sure your rose petals are clean and free of unwanted chemicals and sprays. Layer the petals evenly in 1 cups of sugar in a glass jar. Set aside in a dark place for two weeks allowing the fragrance of the rose petals to scent the sugar. This delicate flavored sugar can replace plain sugar in custard recipes. Berries taste sweet and delicious when topped with rose flavored whipped cream. 6. Ginger sugar combines the zing and zesty flavor of ginger with sweetness. Use this in drinks or in cookies for a fresh and exotic taste. These all make unique and inexpensive gifts. Package sugar in a decorative glass jar, label and include a favorite recipe or serving suggestion. Your sweet gift will make you unforgettable.